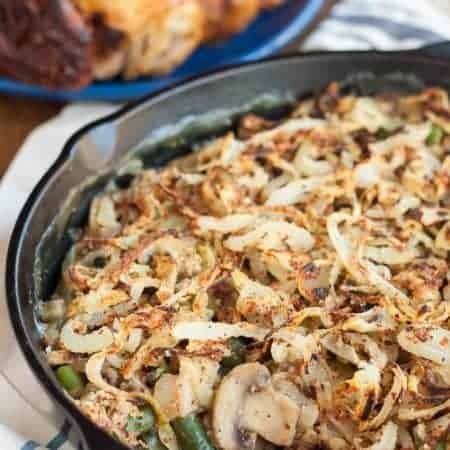 This gluten free vegan green bean casserole takes the classic comforting side and makes it accessible to nearly everyone! The homemade crispy onions make it really special. This post is sponsored by Vivian’s Live Again. As always, all opinions are entirely my own. 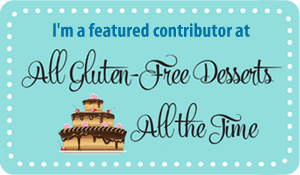 Thanks for supporting Flippin’ Delicious™ and the companies that I work with! 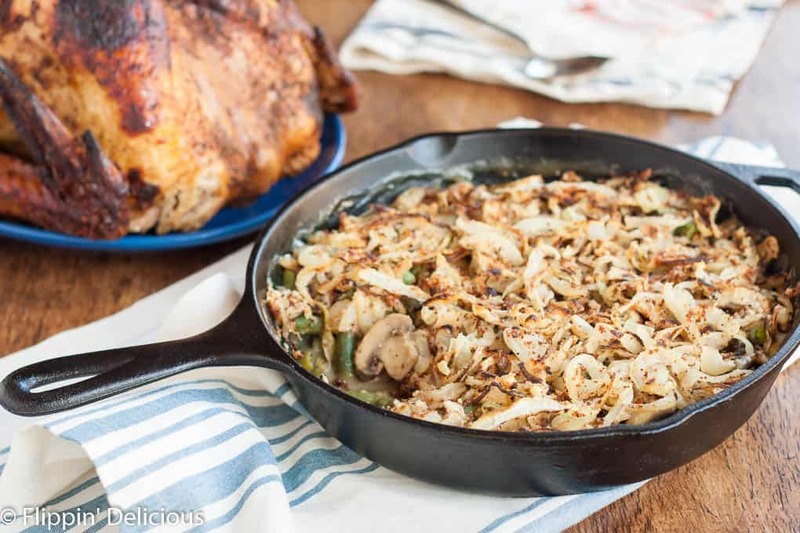 Green bean casserole wasn’t something I grew up enjoying as a part of our Thanksgiving feast. I am proud to say that it is a dish that I introduced to my family when I was a teen. Or rather, Alton Brown introduced it to me in one of his Thanksgiving episodes of Good Eats. It instantly became a family tradition! My parents and siblings now look forward to it every year! This year I made it in a cast iron skillet, which was so easy! I sauteed the mushrooms and green beans in the skillet, then added some cream of mushroom soup from Vivian’s Live Again, and topped it with onions. 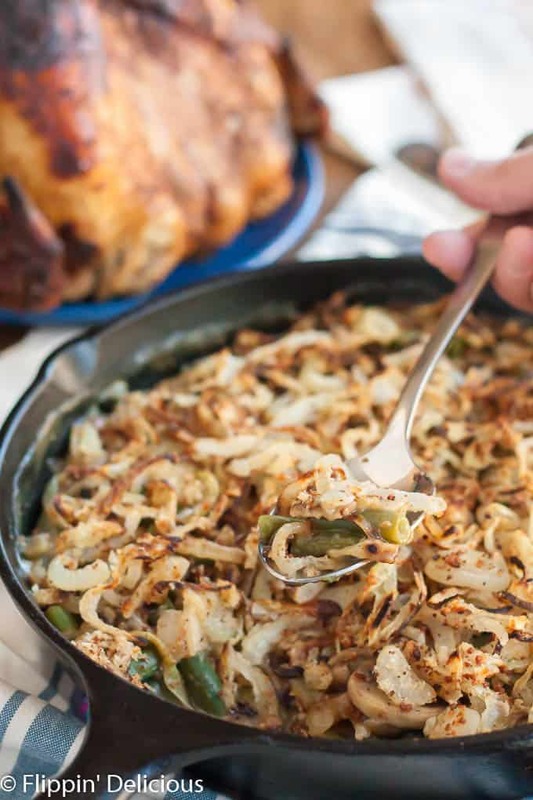 Aside from the homemade crispy onions, this hearty Thanksgiving side dish only uses one pan! 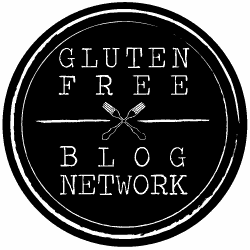 I have been making this gluten free green bean casserole for years, but this is the first year I used Vivian’s Live Again Cream of Mushroom Soup mix. I have always made a cream of mushroom soup from scratch, or some other cream-based sauce to coat the green beans. I know on Thanksgiving day I am scrambling to finish more than half a dozen dishes. I’ll gladly accept any available short-cuts, as long as I don’t have to compromise the quality of the finished dish. 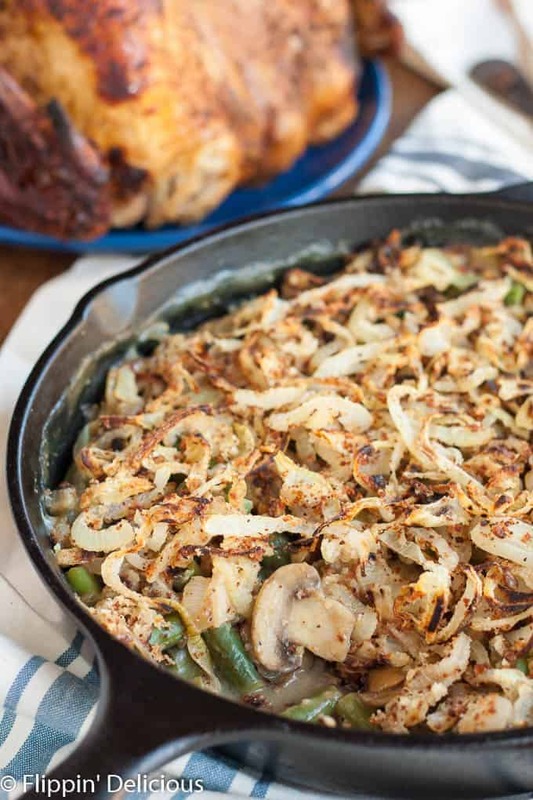 Creamy, savory, and topped with a generous amount of crispy onions. I almost don’t need anything for my feast than a plate full of this gluten free vegan green bean casserole and a slice of gluten free vegan chocolate pie. But I will never say no to gluten free cornbread stuffing! To round out your meal, make A Mind “Full” Mom’s Gluten-Free Sweet Potato Casserole. I love that there are no refined sugars in it! If you are looking for a lighter holiday green bean dish, check out her Green Beans Almondine. I love how she toasted the almonds! Preheat the oven to 475F. Line a baking sheet with foil and then spray it with non-stick cooking spray. In a large bowl mix together the gluten free flour and gluten free bread crumbs. Season to taste with salt and pepper. Half and peel the onions, then slice them very thinly. Toss them in the flour/crumbs until evenly coated. Sprinkle the onions in an even layer on the prepared baking sheet. Spritz with a little additional cooking spray. Bake for 20-30 minutes, tossing the onions every 5-10 minutes, or until golden and crispy. Decrease the oven to 400F. In a cast iron skillet (mine is 10 inches) heat the oil and saute the mushrooms until slightly softened. Add the garlic and continue to saute until the mushrooms are golden. Add the frozen green beans and saute until heated through. 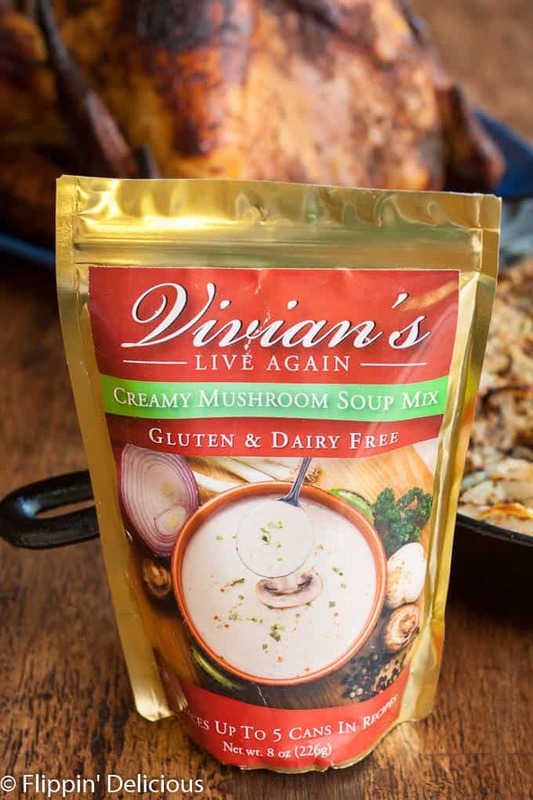 In a small bowl whisk together Vivian's Live Again Cream of Mushroom Soup Mix and the water. Pour the soup into the skillet, stir in about ¼ of the crispy onions, and season to taste with salt and pepper. Sprinkle with the remaining crispy onions and bake in the 400F oven for 10-15 minutes or until warm and bubbly.